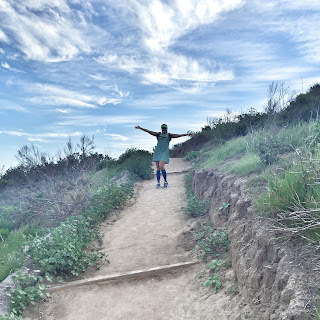 Running with SD Mom: Nuu-Muu Exercise Dress: Review & #GIVEAWAY! Disclaimer: I was sent a Nuu-Muu dress for review and Giveaway purposes. I was not compensated in any other ay and all opinions are my own. Post contains affiliate links. Hi Everyone! I have been teasing all week about this awesome dress I ran in and then kept on all day! I ran trails and errands in the same outfit! So what is it really like running in a dress? Well, there are certain differences to running in a skirt. For one, you have the same fabric all over. So there is no breaking up the color palette. But that is what socks are for right? Super comfortable to run in - no tugging or shifting. And the Ruu has a pocket in the back. Which is awesome for gels or a FitBit or a key. The material is super soft and not see thru at all. The length of the dress is short enough to be sassy but not so short it's obscene. And you can pick the length of the "underneath" as Jenn calls it. You can wear leggings, shorts or capris. I love the versatility! And you can keep it on ALL day! Well, after a ShowerPill and deodorant of course! After the trails, I hit up D's basketball game! Which his team won by the way! (Sparkly headband above by Headsweats. Code SDMOM25 gets you 25% off your purchase.) Next, we headed to Second Chance Beer Co. to pick up a donation prize for the Epilepsy Foundation Raffle. Here is a picture of S with Marty, the head brewer. Next, we headed to lunch to celebrate D's win! And then over to AleSmith to pick up another prize for the Raffle. If you are a Southern California local, please come join us at Urge Gastropub for all the prizes! If you are not and want to read about our connection to Epilepsy and how you can help make a difference, click here and read the story of Serena's Crusaders! I get so carried away when I am talking about Epilepsy! Moving on, I want to give one of you a chance to win one of the Nuu-Muu Exercise dresses of your choice in an available color / style and size! Enter on the Rafflecopter! All winning entries will be verified. If a winning entry cannot be verified as completed, a new winner will be drawn. Winner will be provided the prize directly from Nuu-Muu. 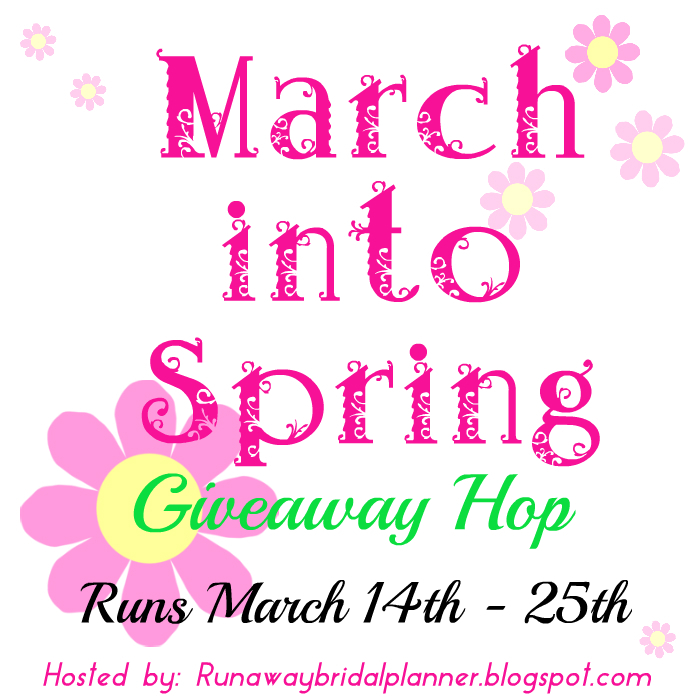 This Giveaway is part of the March into Spring Giveaway Blog Hop meaning there are tons of other prizes available for you to win! So make sure to check out the other giveaways in the hop too via the Linky at the end of the post. So which dress would you choose? I am madly in love with the Sunshine Scoop dress. I think that may be my next item! Here We Go Again. . . Ready? I'd probably like the Tealicious. Do you wear shorts under it to run? the melanie dress is super cute! Samba Ruu is super cute but they all are. I also like the one you are wear...and that you wore...all day long! The classic smokin dress is cute!! Try it again please. Looks like it is working now! Yae! Entered, I think I would have to go with the classic Jade, it looks SO CUTE! I like the sunshine ruu. Super cute! I like the Purfect for it's color which is my favorite! I love the Flamenco Pattern! I'm a Spanish teacher, so it's right up my alley! I love the Zen Scoop Dress. I'd go with the Flamenco. I love the Serena print. These dresses are amazing - how have I never heard of them before?! Obviously I am loving this dress because I got the same one and the same print in a dress for my daughter! You look awesome in it! Love the colors and the versatility to be able to wear it all day! I would pick the RUU in purple! I would pick the Sirena Ruu. Sirena Scoop -- how freaking cute are these dresses?! AH, that dress is so cute! I'd probably go with the Haiku! If I was the lucky winner, I would pick the Pocket Dress in Zen Ruu! I'd choose the Zen Scoop with low neckline. i love the dress in purrfect. So cute!! I like the pocket style dress. I like the Flamenco Ruu dress/style. Such a cute idea. Love that you can wear it for so many occasions. I'd love to get the Jade Ruu dress because I like the color/design. I'd pick the Classic in 'Smokin'". I'm not sure I'd feel comfortable actually wearing it as an exercise dress, though. Either the Zen scoop or the X dress. so cute! I am loving the Sangria Ru! I am IN LOVE with the Purrfect ruu with the pocket! Whichever one my wife would like best. A lot look like ones she'd really like. I love the Classic in the Haiku print! And what a better name for a dress as a writer - love it! I like the Sirena Classic! I like the X dress Ruu. Can't go wrong with basic black! I like the Nuu-Muu Classic Sirena dress. I would pick the Classic Smokin' Ruu. Love it! I would probably pick the Zen Scoop dress in black. I like the Haiku Scoop. I would probably get a large or xlarge. I like the Classic Poppy best. The colors really drew me in. I like the Flamenco the best. I like pink and would get the Classic Sangria. The flamenco dress is absolutely adorable! I like the Hottt design. I love the nuu muu purrfect dress! I like the Purrfect Ruu - love the purple! I think I would choose the pocket one in blue. I love the Iris Ruu! I like the scoop. very cute. I like the Tealicious Scoop and Haiku Scoop ones! So cute! Wish I lived in SoCal so I could come to the fundraiser event- sounds like a fun time and for a great cause <3 Love the dress too! I think the purple one would be great for my oldest sister's middle girl. Thanks so much! Happy Spring to all. I like the Iris Ruu. I like the Poppy dress because it is full of bright color. I really like the Jade Scoop style. Love that color! I love the Flamenco. I would give to my daughter because she was asking for something like this recently. Samba Scoop is so cute and I love the colors it comes in too. I would choose the Zen Scoop. Thanks. I would choose the jade scoop. They are all very cute. I would love the Hottt nuu muu! I like the classic in Poppy. I would choose the classic flamenco dress! I love that they have a great variety of sizes. I'd probably choose the Jade dress in the low-neckline section.